This former elementary school was named for Augustus Garland (1832-1899). The first building was erected in 1879. W.J. Joyner, president of the School Board of School District No. 17, built the school at his own expense on his own property, the use of which he donated to the district. At that time there was only one school in the district, and that was in the extreme north end. In 1909 the Joyner School (one document refers to it as the Lone Pine School) was annexed by the Little Rock School District, and its name was changed to Garland. Mr. Joyner sold six lots (the site of the school) to the district for $200, $100 of which he donated back to the district. Original Garland building. Photo origin unknown. The original building (a wood frame structure) was destroyed by fire in the early 1920s, and the current brick building was constructed as a replacement in 1922. Classes were held in the interim at the old Neimeyer Lumber Company Commissary building, which had since closed. Building additions took place at Garland in 1938 and 1954. 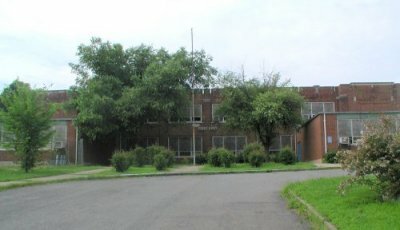 It served as temporary housing for Stephens Elementary from 1999-2001, from the time the old Stephens building was demolished until the new one opened. It ceased operation as a school in 2001 and now houses LRSD administrative departments such as Safety & Security, Student Hearing and Athletics. Augustus Garland was Governor of Arkansas from 1874 to 1876, a U.S. 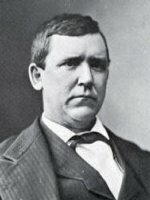 Senator from 1877 to 1885 and the U.S. Attorney General in President Grover Cleveland's cabinet from 1885 to 1889. According to an Arkansas Democrat article, Garland also was one of five state delegates to the Confederate Congress in 1861. Years later, he filed suit against an 1865 federal law that prohibited Confederate lawyers from practicing in the federal courts. The U.S. Supreme Court ruled 5-4 in favor of Garland, saying that the law was unconstitutional chiefly because it inflicted punishment without a trial. In addition, the high court ruled that Congress could neither limit the president's ability to grant pardons nor overrule a presidential pardon. That ruling was the basis of President Gerald Ford's success in pardoning Richard Nixon in 1974. Garland had been pardoned by President Andrew Johnson. Garland died in 1899 while arguing a case before the U.S. Supreme Court. He is buried in Mount Holly Cemetery. Newspaper clipping about Garland Elementary [origin of article unknown] pasted in Parham School scrapbook; scrapbook located at Museum of Discovery, Parham School collection (copy of article in LRSD archives).